These are some of the organisations, on-line resources and blogs that I like and have found useful. The Roots community heritage project. Working with volunteers from the local community, the project tells the story of Walworth Road based G. Baldwin & Co, one of the oldest and most established herbalists in London, and the many customers who have frequented the shop over its long history. Tamasha Theatre Company - Tamasha means “commotion”, creating a stir. Tamasha is an award winning theatre company which specialises in artist training, new writing and intracultural practice. 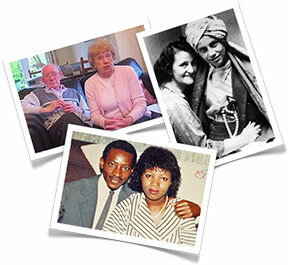 Migration Stories - full list of stories. Community Booklets - community booklets to download on cities where the project has worked. The Elders was a stunning community history project developed by Franklyn Rodgers and B3 Media, as part of the Festival of Britain that took place at Southbank Centre, 2011. The mixed media installation combined portrait photography and narrative audio clips in surround sound to create an immersive experience for the audience. A blog dedicated to exploring the relationship between archives and the documentation of refugee studies and human rights issues. The blog is run by Paul Dudman, an archivist responsible for the Refugee Council Archive held within the Archives collection at the University of East London. A site of photographs and some links to articles and stories curated by Calvin Ho. Original (non-reblogged) photographs by Calvin Ho, unless otherwise attributed. Photos by Calvin Ho are shared per the Creative Commons Attribution-NonCommercial-ShareAlike 3.0 Unported License. Islam and the End of Life - Mr Khan is brought into A&E with a cardiac arrest and has emergency surgery to clear a blockage in his coronary artery. He's transferred to intensive care with multi-organ failure, his lungs, heart and kidneys supported by machines and medication...This episode is an examination of the 'emerging science' of Islamic Medical Ethics.